But Sageman's entire case is premised on the figures of 2,300 and 60 arrests. Aside from possible other causal explanations for these differences, such as the European legal system permitting more latitude to make terrorism-related arrests, are those figures even correct? He supports them with only a brief, vague footnote: "Updating Eggen and Tate, 2005; Lustick 2006: 151-52 agrees with this estimate." Here, "Eggen and Tate, 2005" refers to a two-part newspaper article and "Lustick 2006" sources a discredited extremist screed. In fact, Sageman's numbers are scandalously inaccurate. European arrests: His European number is inflated. The European Police Office (Europol) issued statistics showing that in 2007, 201 Islamists were detained in the European Union (other than the United Kingdom) on terror-related charges, compared to 257 in 2006. Earlier Europol statistics are less clear, but a close review of the evidence conducted for me by Jonathan Gelbart of Stanford University shows 234 arrests made in 2005, 124 in 2004. and 137 in 2003. In all, the total West European terrorism-related arrests appear to number less than 1,400. U.S. arrests: According to the U.S. Department of Justice, Sageman's American figure is too low by a factor of almost ten. Department spokesman Sean Boyd indicated, according to a Fox News report, that "527 defendants have been charged in terrorism or terrorism-related cases arising from investigations primarily conducted after Sept. 11. Those cases have resulted in 319 convictions, with an additional 176 cases pending in court." Plus, as I documented (at "Denying [Islamist] Terrorism" and its follow-up blog), politicians, law enforcement personnel, and the media are loathe to acknowledge terrorist incidents, so the real number of terrorism-related arrests is substantially higher. In policy terms, Americans have no reason to be smug. Yes, Europeans should indeed learn from the United States how better to integrate their Muslim population, but they should not expect that doing so will also diminish their terrorism problem. It could, indeed, even worsen. July 3, 2008 update: For an elaboration of the point in the fourth paragraph about the European legal system, see my weblog entry, "How Europe's Counterterrorism Laws Differ from America's." Jan. 1, 2009 update: Lorenzo Vidino documents the record of American Muslim terrorism in "Homegrown Jihadist Terrorism in the United States: A New and Occasional Phenomenon?" 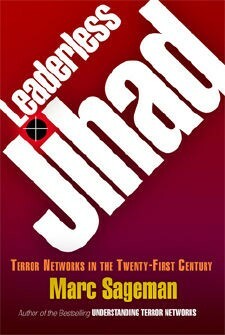 Studies in Conflict & Terrorism 32 (2009): 1-17. Four concurring reasons are often identified to explain the divergence between the levels of radicalization in Europe and the United States. The first one is related to significantly better economic conditions of American Muslims. Although European Muslims generally languish at the bottom of most rankings that measure economic integration, American Muslims fare significantly better, and the average American-Muslim household's income is equal to, if not higher, than the average American's.78 As the many cases of militants who came from privileged background have proven, economic integration is not always an antidote to radicalization, but it is undeniable that radical ideas find a fertile environment among unemployed and disenfranchised youth. A direct consequence of economic integration is the lack of Muslim ghettoes in the United States. Areas of large European cities with a high concentration of poor Muslim immigrants have been ideological sanctuaries where radicals could freely spread their message and where radical Islam has become a sort of counterculture. The American Muslim community's economic conditions have prevented the formation of such enclaves in the United States. Geographic dispersion, immigration patterns, and tougher immigration policies have also prevented the formation of extensive recruiting and propaganda networks as those that have sprung up in Europe. Although this article has demonstrated that networks have been operating inside the United States for the last 30 years, their activities cannot be compared in intensity to those operating in Europe. Although places such as Brooklyn's al Farooq mosque or Tucson's Islamic Center saw extensive jihadist activities in the 1990s, they pale in comparison to recruiting headquarters such as London's Finsbury Park, Hamburg's al Quds mosque, or Milan's Islamic Cultural Institute. Finally, the fact that large segments of the American-Muslim population belong to ethnicities that have traditionally espoused moderate interpretations of Islam can also be cited as a reason for America's lower levels of radicalism. In fact, Muslims from the Iranian- and Indian-American communities, which account for vast segments of America's Muslim population, have traditionally embraced moderate forms of Islam and have been, to varying degrees, almost impervious to radicalization. Vidino cautions,however, that "Although all these characteristics still hold true, they no longer represent a guarantee." Comment: I respect Vidino's research and common sense but think he missed the quantitative contrast here between the United States and Europe. Related Topics: Muslims in Europe, Muslims in the United States, Terrorism | Daniel Pipes receive the latest by email: subscribe to the free mef mailing list This text may be reposted or forwarded so long as it is presented as an integral whole with complete and accurate information provided about its author, date, place of publication, and original URL.